The Trump administration issued its 2018 budget request to Congress today. We’ll have a proper memo out about this tomorrow. 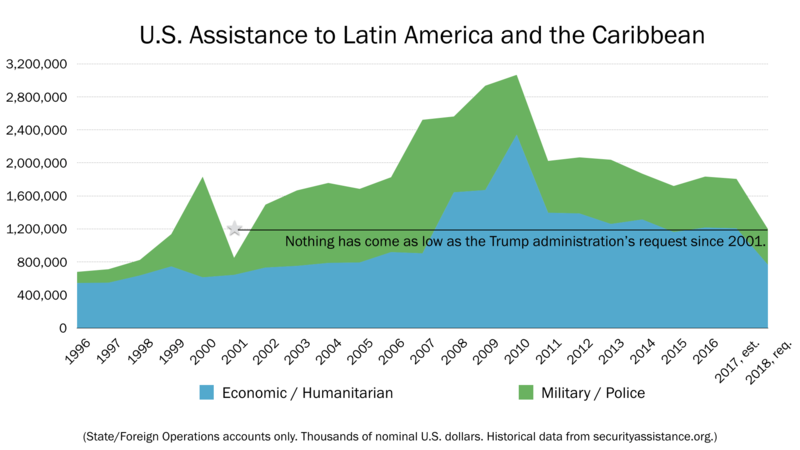 For now, here’s a crude graphic that shows pretty clearly how radical and irresponsible the foreign aid part of the request is. The Homeland Security request, meanwhile, proposes to build 74 miles of border wall at a cost of over $21 million per mile. That’s about three times the cost of the border fencing built in the years after passage of the Secure Fence Act of 2006. More analysis—and probably a better-looking graphic—will come to wola.org tomorrow.